Over 100,000 Buzzy units have been sold to hospitals, pharmaceutical companies, and patients around the world. Buzzy® adds value to any healthcare facility. Which Buzzy is Right For Me? Videos, how-tos, and all the information you need to ensure patient comfort. Which Buzzy® is Right for Me? XL or Mini? Healthcare or personal? We'll help you figure out which is the best Buzzy® to suit your needs. 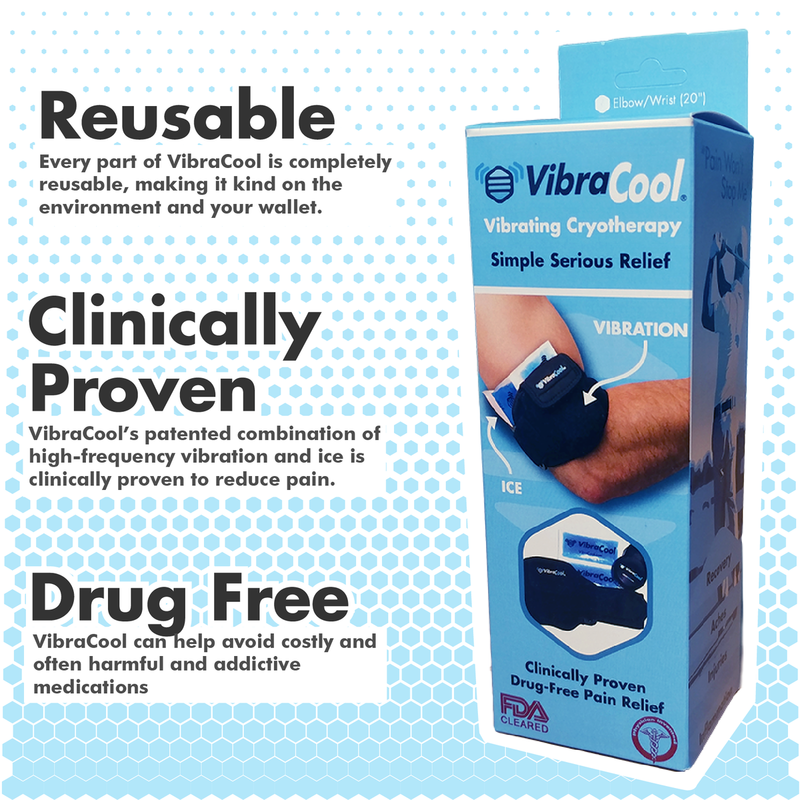 VibraCool is Pain Care Lab's patented Cool-Pulse™ technology specialized for knee pain, tendinitis, carpal tunnel, plantar fasciitis, and other forms of chronic pain.